The Mille Feux collection of Tiffany lights is a classic more formal range of Tiffany lighting ideally suited to traditional homes. Being neutral in colour these Tiffany lamps will work with most other colours and as one would expect from Interiors 1900 they are hand crafted lights of exceptional quality. 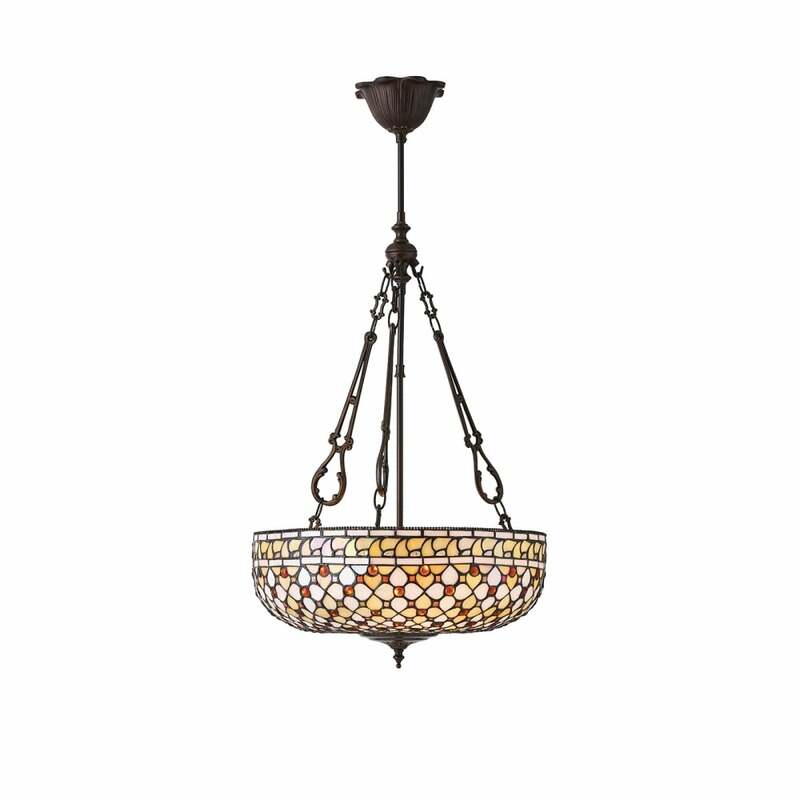 The Tiffany ceiling pendant shown here is an inverted or uplighter ceiling light that has a detailed geometric patterned shade featuring clear and amber beads on a cream background. The light is suspended on a rod and has three chains to support the Tiffany glass shade and with a maximum drop of 115cms is ideal for high ceilings. The Tiffany uplighter shade is held in place by a decorative aged brass finial. A great light for using in a traditional Victorian entrance hall or sitting room as the three bulbs are hidden from view. A feature ceiling pendant with a subtle blend of neutral Tiffany glass colours.